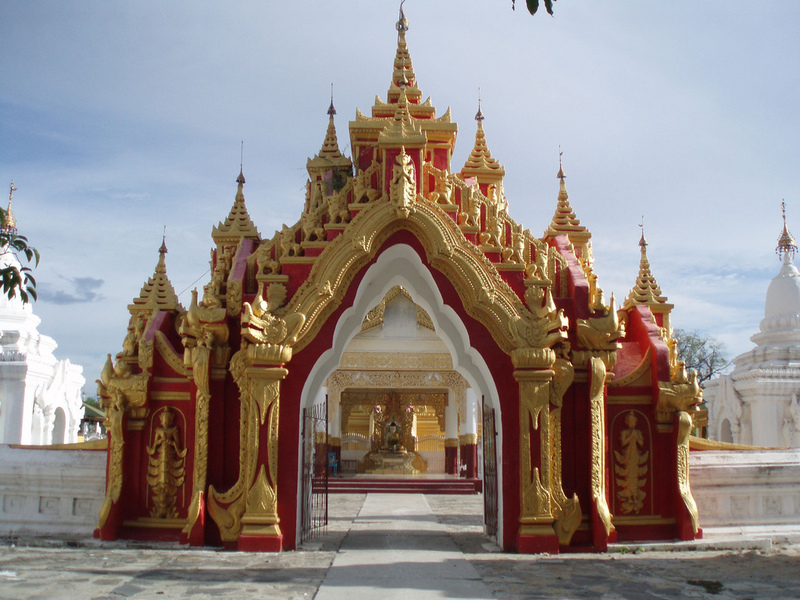 Unknown to the general public, Monywa hides in itself interesting treasures. If you make your Myanmar travel, stop at Monywa to relax and discover these treasures. In terms of accommodation, we want to recommend the Win Unity Resort Hotel, a beautiful and well-equipped hotel promising to be the best place of relaxation for you in the town. Restaurant, Bar, In-pool Bar, Spa, Souvenir Shop, Garden, Pool, Fitness Center, Business Center. In-room amenities: Air conditioning, Complimentary, Hair dryer, Mini Bar, Non-smoking room, Shower, Satellite/Cable channel. The Win Unity Resort Hotel is located in the center quarter of Monywa, by the Khan Thar Yar Lake, and about 600m far from the bank of Chindwin River. Thanks to its location near water source, the hotel bears pleasant cool and fresh air. In the Win Unity Resort Hotel, you will be served the finest Asian Cuisine. You can eat in the air-conditioned dining hall or on the porch whilst enjoying a breathtaking view over the lake, which is a memorable experience in you’re Burma tours. Relaxation after a busy day of sightseeing you can find in our Beauty & Spa with signature treatments of Myanmar and Thailand. You can get in shape even during your Myanmar trip in the well equipped Gym. The pool is the perfect place to cool off from the Monywa heat or just to sip a refreshing cocktail in our in-pool bar. All children under 6 years are charged USD 32 per night for extra beds. Any additional older children or adults are charged USD 32 per night for extra beds. The maximum number of extra beds in a room is one. Any type of extra bed or crib is upon request and needs to be confirmed by management. Additional fees are not calculated automatically in the total cost and will have to be paid for separately during your stay. Suite Room Lake View, Deluxe Lake View, Deluxe Garden View and Superior Rooms are attached twin bungalows with an own veranda to provide ultimate privacy for guests. The Standard Rooms in two multistory buildings are a real bargain, considering the quality of the rooms and the service. Also located in one of the multistory buildings are our airy and tastefully decorated Junior Suites with a spacious bedroom and separate living area. Monywa is a charming stopover between Bagan and Mandalay, two most popular tourist cities of Myanmar in your Burma tours, and the Win Unity Resort Hotel is the wonderful place not only to stay with comfortable accommodations but only to relax and refresh yourself after long journeys.